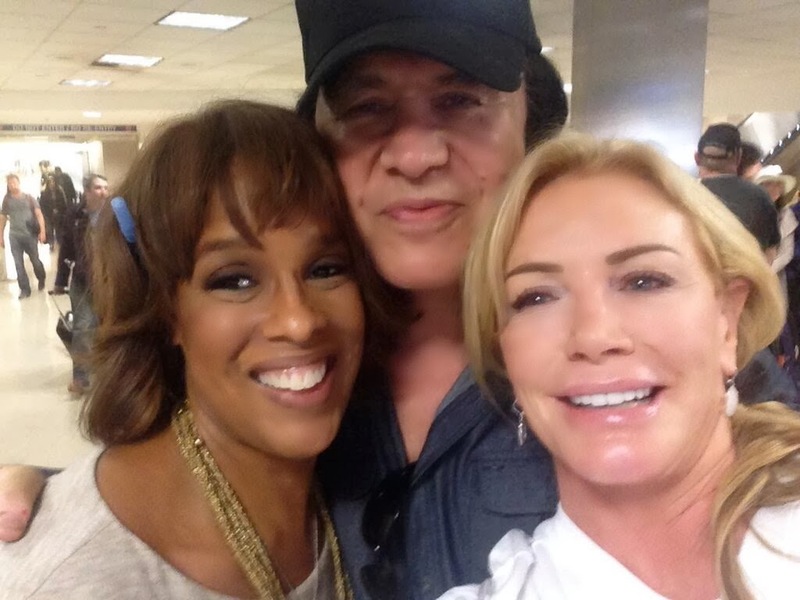 Here's a photo of Gene Simmons and Shannon Tweed at LAX running in to Oprah Winfrey's best friend Gayle King. "LAX is crazy right now. But all is good. Ran into lovely @GayleKing. Hi, Gayle"